Wanna play? We'll save you a seat! The Mad City Badgers are always welcoming new friends to join the team!  After all, someone needs to be the next great player and carry on the winning tradition of the Mad City Badgers, right!? The criteria for being a member of the team , and participating in wheelchair basketball , are simple. Wheelchair Basketball was one of the foundation sports on the Paralympic Program in Rome in 1960. Today, it continues to be one of the most popular sports in the Paralympic Games. By classification, players are assigned a point value from 1.0 to 4.5 – according to their level of physical function. These points are then added together in a game where a team is not permitted to exceed 14.0 points for the five players on court. This ensures that any player regardless of degree of disability, has an integral role to play in the team structure. Observed trunk movements and stability during actual basketball participation, not medical diagnosis form the basis of player classification.